Ford’s latest addition will have the first update next season. Well, it won’t be anything serious after just a year. 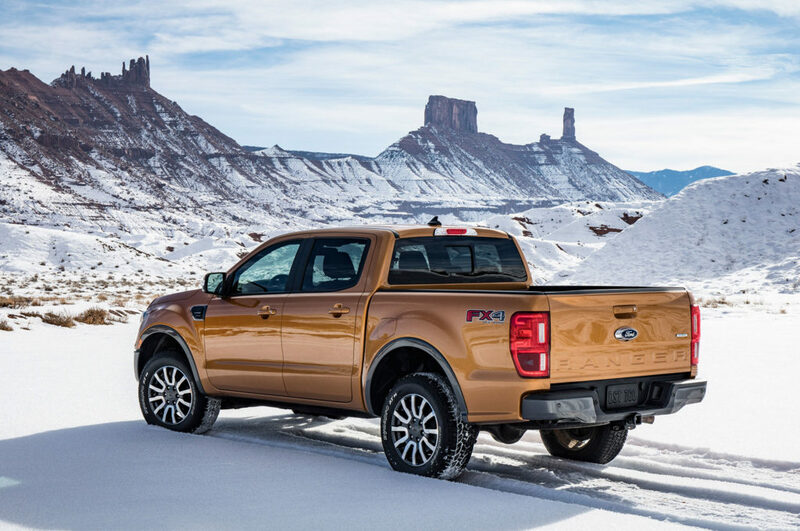 Cosmetically, the 2020 Ford Ranger will be the same as its predecessor. But, the real deal is happening under the hood. Besides a four-cylinder engine, the new truck will have a V6 unit. That is it for the base model, but there are more surprises coming for the pickup. An off-road Raptor model is already available in Europe and Australia. Now, the US version is also getting tougher updates. Finally, the truck could also get a hybrid model. The Ranger came back to the US after a break. Meanwhile, this truck became one of the most popular models in Australia. 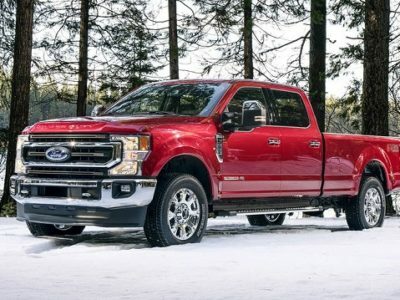 Also, the popularity of the mid-size pickups started to grow, so Ford couldn’t let go its archrival, Chevrolet, take the majority of the market pie. Well, Toyota is another major player there, since its Tacoma is the best-selling vehicle. 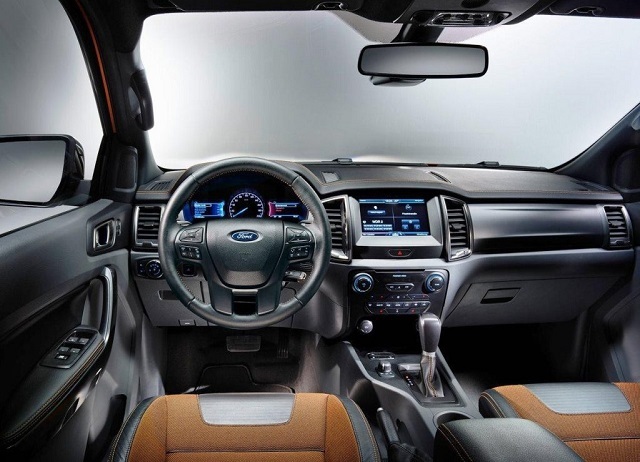 All in all, with the return of the nameplate and upgrades that come with 2020 Ford Ranger, the Blue Oval company will fight its way to take the top position in this class. Euro spec Ranger Raptor is already available. However, we expect to see this version in the US next season. It will feature the interior and exterior updates, besides the engine modifications. When we look at this globally, Ranger is one of the most popular vehicles worldwide. Now, with a Raptor version, it will draw more attention in its homeland. 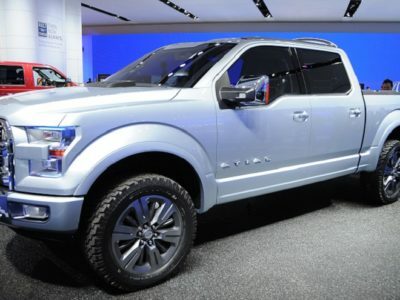 Of course, there is another Raptor in North America – legendary F-150. However, from what we saw in Euro-spec Ranger, the smaller sibling will be more attractive with the updated front grille, LED lights and bumpers. The 2020 Ford Ranger Raptor is also getting more space beneath the body. Interior is also different compared to the standard version. The 2020 Ford Ranger Raptor will add special buckets which boost comfort for an off-road drive. Sportier steering wheel and dashboard are making the overall impression sportier. Under the hood of the 2020 Ford Ranger Raptor in Europe, we will find 2.0-liter bi-turbo engine with 200 hp and 370 lb-ft of torque. Well, this kind of drivetrain will hardly find its way for the US market. On the other hand, the Euro-spec truck is pairing it with a new 10-speed auto gearbox. This one is certain for the US model. The latest rumors say that Ranger is getting a V6 engine. 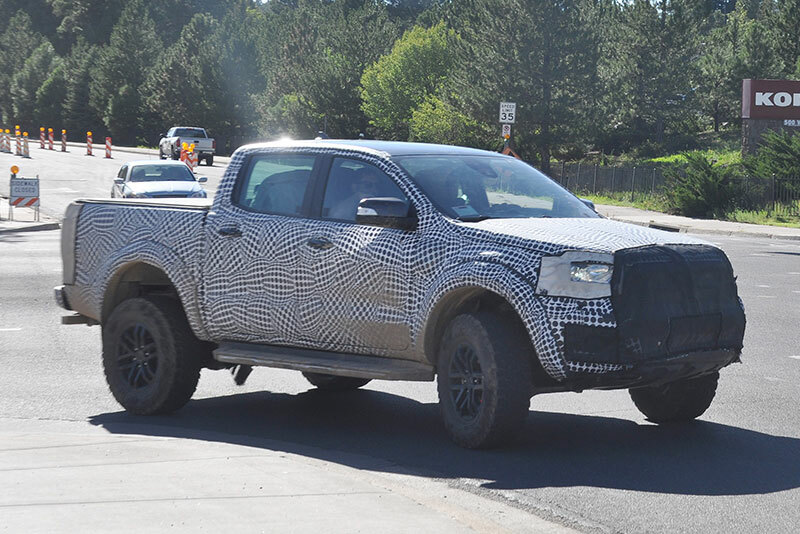 Could it be the powertrain of the Raptor model? As soon as Ranger unveiled its specs sheet, experts saw a missing part. 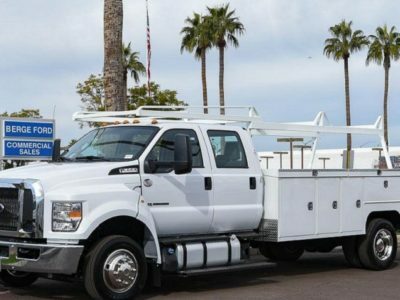 All mid-size trucks are offering a V6 engine. So, it is unbelievable that Ford takes rivals so lightly. The more serious approach means more units. But not less powerful, but V6 drivetrains. What could Ford offer there? A 3.3-liter V6 unit from the bigger stablemate could fit 2020 Ford Ranger. It is capable to produce 290 hp and 265 lb-ft of torque. Chevy Colorado is getting 310 hp from its V6. So, a 3.3-l engine is a good response from the Blue Oval company. The truckmaker will pair the powertrain with a 10-speed automatic transmission. 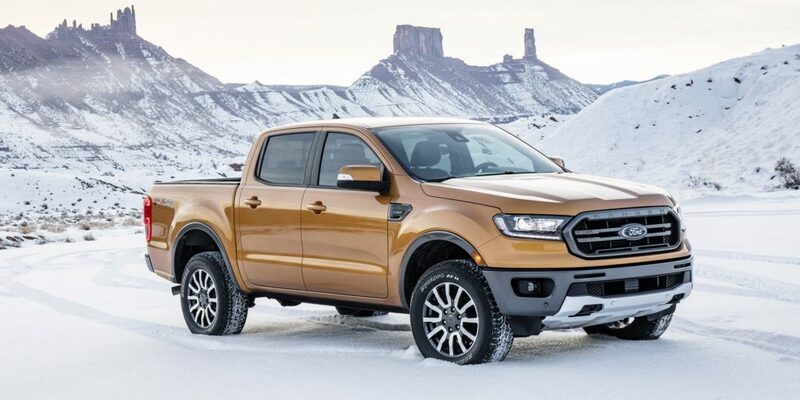 According to announcements, the new Ranger will aim to break Colorado’s towing capacity of 7,000 pounds. With a V6 engine, it is possible. 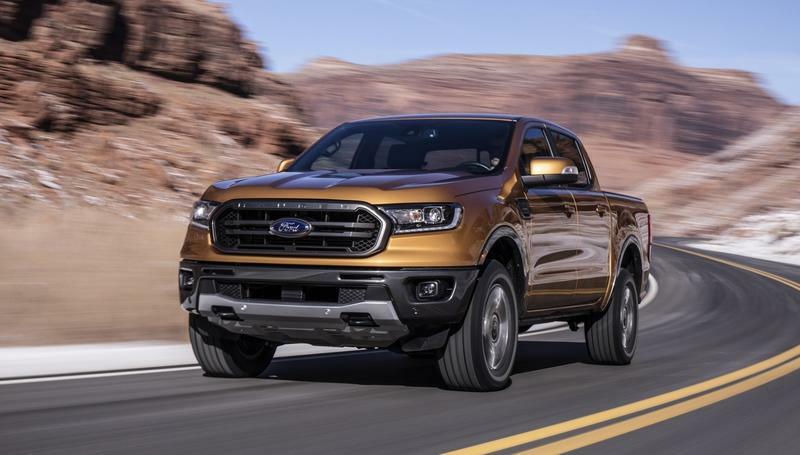 The 2020 Ford Ranger will continue to use a 2.3-liter turbocharged engine. This four-pot unit is pretty capable with the output of 270 hp and 310 lb-ft of torque. The transmission that sends power to wheels is a 10-speed auto. Buyers will choose between 4×2 and 4×4. The company said the new Ranger is capable to tow 7,500 pounds. Well, the record to beat is Chevy Colorado’s 7,700 pounds with a diesel engine. Well, we already mentioned Chevy Colorado several times. 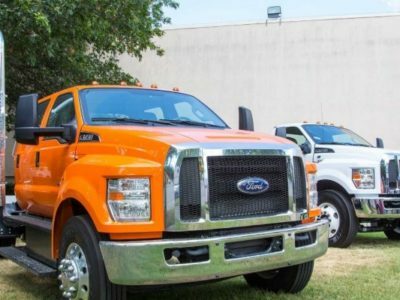 The battle between Ford and GM continues in the mid-size truck segment after some while. Chevrolet will also listen to updates about the Raptor model. Colorado ZR2 is an off-road model that currently competes Toyota Tacoma TRD Pro pickup. Well, the base Tacoma is the best-selling model in the segment. Of course, the 2020 Ford Ranger will aim the throne right from the start. Toyota also plans to launch a diesel version of Tacoma. Now, the Japanese company could speed up the development with the new rival in the market. Besides these mid-size trucks, we can also find Nissan Frontier in the same category. The brand-new Jeep Gladiator will be an interesting figure next season as well. We know about Ford’s plan to electrify the entire lineup. Well, Ranger is the latest addition and it could be one of the first to get a hybrid engine. 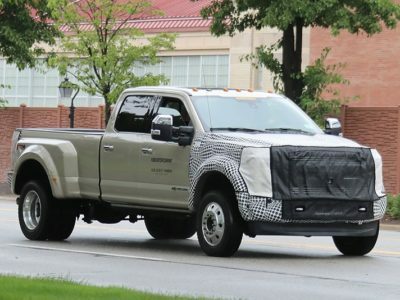 Ford is going to do it as a test for a more serious update on F-150 full-size truck. The larger model is in various news recently, and the truckmaker is definitely planning to launch it with battery support to conventional engines. But, the 2020 Ford Ranger Hybrid might come first to take critics and show the direction of further development. These are clear speculations. None truck is available with a hybrid drivetrain. 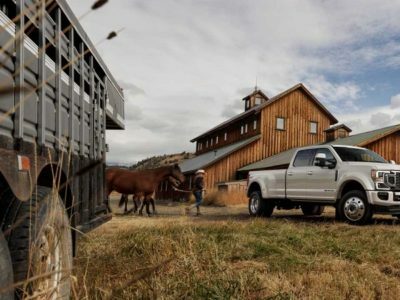 Well, the Ram 1500 has a mild-hybrid setup, but it is not different from a standard configuration. As always, truckers expect the most from the Blue Oval company. They won’t fail and we could see the first prototypes as 2020 Ford Ranger Hybrid. The pickup will share the drivetrain with Expedition SUV, so any news about either model means upgrades on the other one. When Will 2020 Ford Ranger Arrive? Big plans need time. None of these is easy to pull off. Raptor unit with V6 engines seems to be the favorite to be the first one to arrive. Well, there are engines available for usage, and the same version of the full-size truck could be a design language for a smaller model. After this one, we could see the diesel truck. Emission cuts and other modifications need to happen before it appears. Finally, the far-fetched story about Ranger Hybrid is unlikely for 2020 season. This truck is not rolling down the streets. But, it could come as a prototype.